During the day it’s also very important to keep a good posture, mostly for sedentary workers. 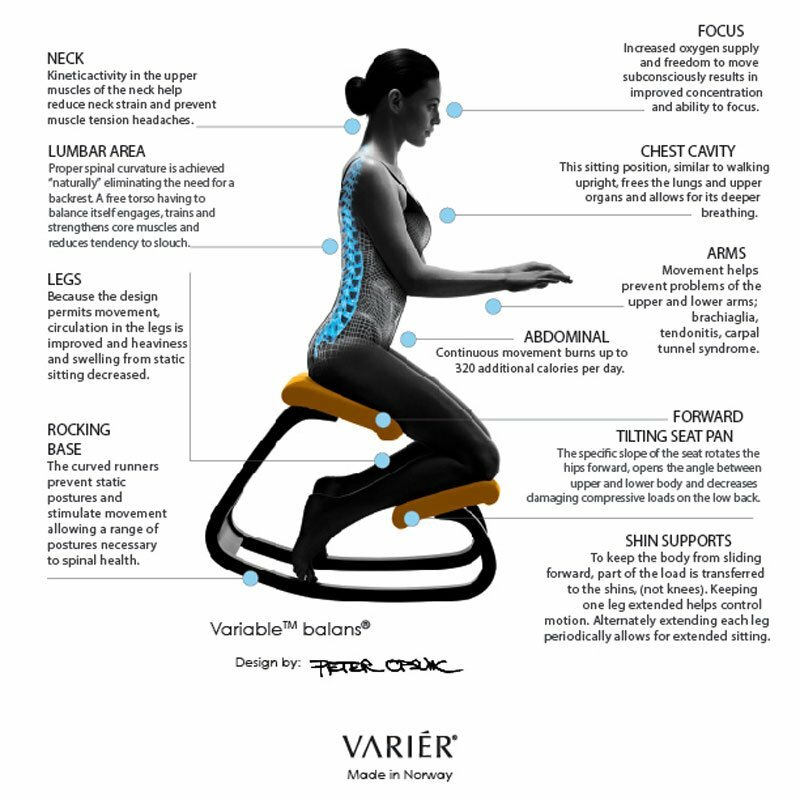 That’s why in our showroom you can test and buy Varier active chairs, taking weight off your back trought kneeling. Those chairs are called active or balance because they swing to keep our back moving and avoid that unpleasent sensation you feel after hours in the same (bad) position. That’s extremely important for students, office workers and anyone sitting at the same desk for more than 5 hours a day. We deal a selection of hag office seats, for more traditional (but still ergonomics focused) clients. They have wheels, so can fit nicely in an l-form desk and support our backs with more of a conventional sitting position. Hag is well-known also for its environmental attention during the production, limiting co2 emissions to look after long term wellness as well.